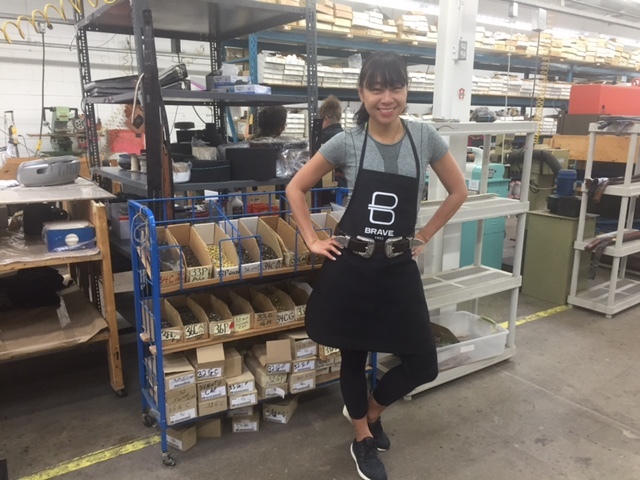 A couple of weeks ago, I was invited to a DIY belt workshop at BRAVE Leather and I made sure to add it to my schedule because it’s not every day you get a chance to make your own leather belt at the Canada’s only leather belt factory. You probably know BRAVE, the Canadian leather company that’s been in business for 24 years and in that time has produced more than two million pieces right here in Toronto. It actually started as a street stand! Now, you’ll find their gorgeous belts at the stylish shops you go to (take a peek at the labels, maybe you already own one or two BRAVE pieces in your closet). At their factory, I chose to make their Western-inspired belt (the style name is called Daphne) in the raw washed brown leather (I had Stampede and music fests on the brain so it was calling my name). We started by figuring out my size, then choosing the style on the computer, and I then placed the leather so as to waste as little leather as possible and then click “go” and the digital laser cutter precisely cut my belt. 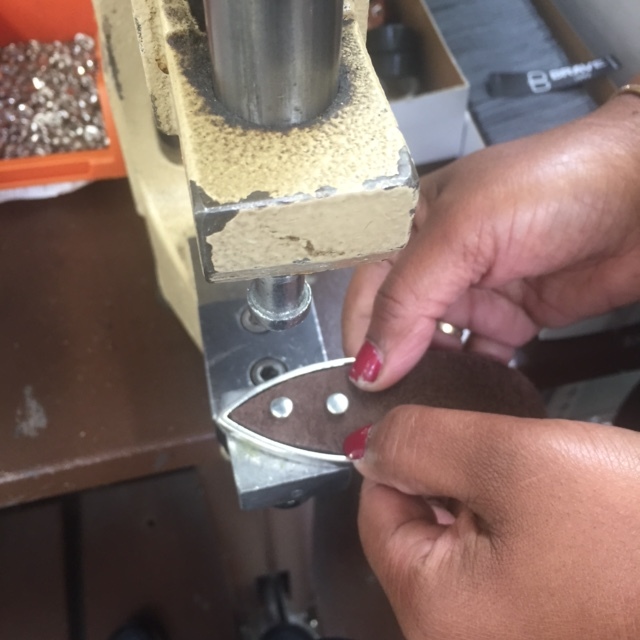 After that, we used a machine that shaves off some leather to make it thinner at the ends, then I went onto the next step where we added the metal pieces and I stepped on the pedal to affix the pieces tightly onto the leather. And within, say, 10 minutes or so, my belt was complete! While there, we also previewed the BRAVE FW16 collection, and I’ll add pics of a few of my faves to this post shortly! Nice gams lady. Looking good!